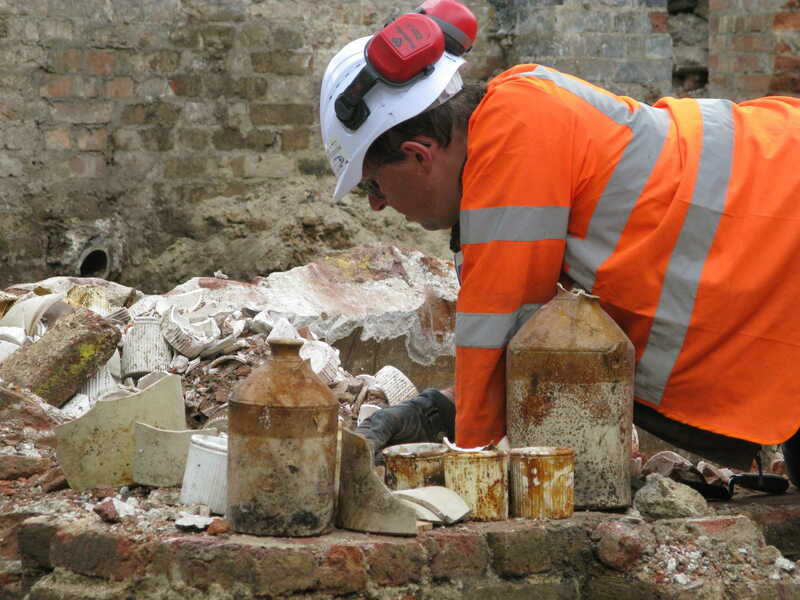 Over 13,000 vessels were dumped in a cistern when the factory was rebuilt in 1877. A range is displayed here, showing the variety in designs and sizes. All were clean and were intact when discarded and some still retained their paper labels. The largest amount of glass vessels came from a dump of material under a floor and dates to the early 20th century. Over 4,000 glass stoppers were found as well as cork bungs and other glass and ceramic vessels.